The Sobell Bridge club is based at Mount Vernon Hospital in Northwood and has raised £43,000 for Michael Sobell Hospice this financial year. 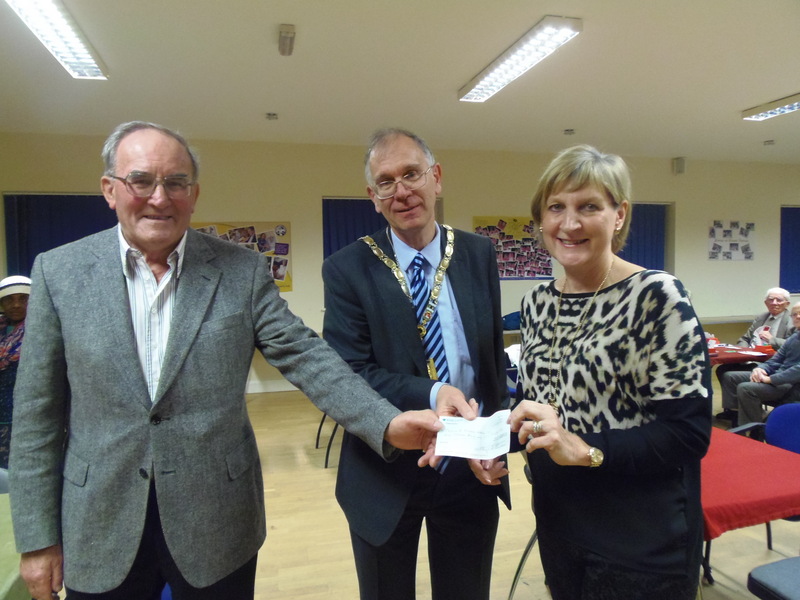 Doug Edmonds, Chairman of the club, presented the final quarter’s cheque for £9,000 to Lindsey Fealey, CEO at Michael Sobell Hospice, at the club’s Sunday evening session on Sunday 22 March. The club also received a visit from myself, as many of the club’s members are residents in the Three Rivers catchment area. 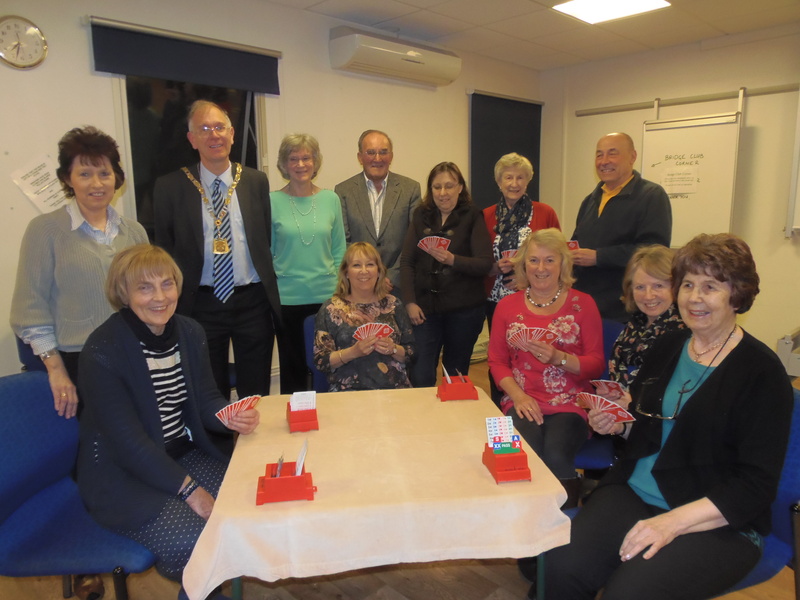 The Bridge club was set up in May 1992 with two main aims, to provide an opportunity for those bereaved or alone to meet socially in a relaxed and friendly atmosphere, as well as encouraging members to support the work of Michael Sobell Hospice. It has raised over £700,000 for the hospice since it was founded. The club is run by volunteers and is open five nights a week except Wednesday and Saturday. It offers 12 week sessions for Beginners and Improvers with tuition and supervised play as well as a number of Duplicate Bridge nights. The club also organises Bridge weekends and several fundraising events for members. All meetings are held at Michael Sobell Hospice in Northwood except on Friday afternoons which are held in Croxley Green. For more information on the club, visit their website at www.sobell-bridge.org.uk or call Doug Edmonds on 01923 829845.